In allocating a small increase in funding for prevention, I would first ask what policy goals are of most importance. These could be to maximise health or to reduce health inequalities, or a combination of both. This is important because doing the most cost-effective things to improve overall population health may make health inequalities worse. In addition, are policy and decision-makers concerned with saving the health and social care system money, or reducing the cost to the welfare system? If the overall policy objective was to narrow the health inequalities gap then one might suggest using the money to tackle income inequalities . The Institute of Fiscal Studies recently highlighted the differential impact of tax and benefit changes introduced between 2010-15 in the UK, by income and household type. These changes were complex, but included reductions in benefits, and tax credits, as well as a reduction in income tax. 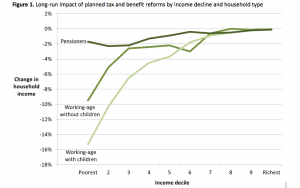 Taken together the changes had little effect on pensioners, but a significant impact on those of working age, particularly those with children; and they resulted in ‘significant losses for those of working age in the bottom half of the income distribution’. Using the additional investment to bolster policies aimed at improving the lot of those at the lower end of the income distribution (e.g. through tax credits, minimum wage policy) may offer a greater return on investment than anything we might do in the health arena. Turning to what might be done in the health arena, it is worth putting the sum of money into perspective. In 2015-16 the public health system in England spent £2.24bn ($4.09bn, converted at £1 = $1.83, April 2018) on ‘healthy condition monitoring programmes’ such as the Health Check programme. So, we are dealing with a sum of money roughly 2.4% of that per annum. Australia spends comparatively less on prevention each year than the UK, with the AIHW reporting that around $2bn spent was spent on prevention each year, although the actual figure may be higher. Targeting an additional $100m spend would therefore be crucial. In order for the additional investment not to be spread too thinly, I would target one major public health area such as obesity, which cost the NHS £6.1bn ($11.2) in 2014/15. In addition to the significant financial burden, I have chosen obesity for several other reasons: first, it requires action on both primary and secondary prevention; second, it requires action at all levels, from individual responsibility through to effective national policy-making; and third, reducing obesity rates has the potential to impact on a very significant amount of morbidity and mortality in the population, as well as impact on other societal benefits such as employment, mental health and well-being. Estimates suggest the total societal cost of obesity in the UK is between £27-46bn ($50-$86) each year. We also have a growing evidence base on what is cost-effective. and/or policies that could potentially demonstrate a positive return on investment. While establishing rigorous evidence on the effectiveness of preventive interventions is challenging, given the inherent time delays and confluence of variables that impact on health, modelling work has shown that adopting ‘prevention packages’ of multiple interventions potentially has a synergistic effect on cost-effectiveness. Sir Derek Wanless, the British advisor whose reports made the case for sustained investment in the NHS and social care, recognised many of these factors over a decade ago in his reportto the UK government. 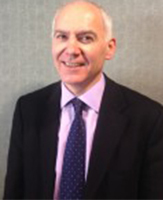 He noted that ‘arresting trends in obesity and physical activity is absolutely vital if the government is to succeed in its stated aim of reducing the number of people who develop Type 2 diabetes… some interventions have been shown to be cost-effective and it is simply impossible to reduce significantly the burden of diabetes without intensive primary prevention efforts’. Primary prevention must start with the youngest members of our society, and the arguments for doing so are supported by strong evidence. In 2016-17, over a fifth of five-year-olds in the UK were overweight or obese, which rose to over a third for ten-year-olds. Similarly, around one in four children aged 5-17 years in Australia were overweight or obese in 2015. This is not only ‘stacking up’ future disease risk, but also wider economic impacts through lost productivity, and social impacts such as the increased burden on families caring for those with long-term chronic disability. Inequalities in socioeconomic status and level of education contribute significantly to the social gradient of childhood obesity. In the case of children and young people, there is also evidence to show that prevalence of obesity is associated with emotional and behaviouralproblems from a very young age, with stigmatisation, bullying and low self-esteem all more likely, as well as resulting school absenteeism. This vicious cycle of socioeconomic disadvantage and obesity, which propagates across generations, must be tackled as a top priority for additional investment. Broadly I would make sure that around half of the money was spent on tackling the obesogenic environment – for example by introducing policies to encourage a healthier local food offer, through delivering healthier food procurement across the public sector; by providing incentives to local shops and food outlets to promote healthier food and drinks and stop the promotion of unhealthy products at checkout locations; and by making community places more accessible and attractive to encourage active travel. In Australia, the implementation of display bans and plain packaging on tobacco products are examples of successful changes to the retail environment to promote health. Also, essential to success is working with government, both to regulate the advertising of unhealthy food to children, and to reformulate products. A recent study on the nutrition and health claims of ultra-processed foods reinforces the need for public policies to reduce deceptive marketing and enable informed decision making for consumers. ‘Tackling the negative’ is, however, at risk of missing the opportunity to change the way we communicate the public health message. I would therefore spend at least some of the money on positive advertising and marketing of healthy food and media campaigns aimed at stimulating a public debate about obesity. Such debates should be informed by hard figures that show people the additional direct health care cost impact of morbid obesity over the course of a lifetime. Obesity is not just an economic issue, it is a political issue, and public support for tackling the problem is essential. Money is important, but the political mandate for action at a local and national level is also key. Equally, a positive approach can be adopted by working with industry to provide incentives for healthy food production, and encouraging the growth of retail outlets accordingly. Changing the public health narrative from words like ‘banning’ and ‘restricting’ to promoting and enjoying healthy behaviours may be part of the solution here. Food subsidies have also been found to be cost-effective and are a more positive way of framing the debate. In Australia, the rhetoric of ‘nanny State-ism’ and the power of industry in shaping political priority have hindered government action towards regulatory interventions. However, in the UK many recent approaches to tackling obesity have avoided this through the application of behavioural economics to the design non-regulatory interventions, for example the use of voluntary traffic light labelling on packaging. “governments should not cite unwillingness to behave as a ‘nanny State’ as an excuse for inaction on the major public health issues, including obesity. Importantly, the Government should be clear with the public, that access to the NHS involves patient responsibilities as well as patient rights”. This resonates strongly with the ‘fully engaged scenario’ envisaged by Sir Derek Wanless in which, amongst other things, levels of public engagement in relation to their own health are high. For its part, government must lead by example in ensuring that the sale of unhealthy food in publically owned spaces such as hospitals, schools and leisure centres is reduced. “there is reasonable and increasing evidence that appropriately designed taxes on sugar sweetened beverages (SSB) would result in proportional reductions in consumption, especially if aimed at raising the retail price by 20% or more”. Lal et al assessed the potential cost-effectiveness, health gains, and financial impacts of a 20% SSB tax in Australia and found that it would likely lead to significant health gains and healthcare cost savings for the most disadvantaged households. The revenue generated from such a tax could be used to further improve health equity. In 2018 the UK joined a growing number of countries around the world to implement a tax on sugar sweetened beverages. Evidence from countries such as Mexico, which implemented a tax on sugar sweetened beverages in 2014, has shown these can be effective in reducing sales, with the greatest impact on those from low socioeconomic backgrounds. Reformulation is another key intervention that can be undertaken at a national level and which modelling suggests could be cost-effective. The OECD undertook a review of the evidence and found that recent policies to reduce salt content in processed products were either very cost-effective or, in some economic evaluations, cost-saving. Similar reformulation initiatives are already underway in England with respect to other nutrients. This multi-pronged approach to tackling obesity in children is consistent with the evidence from modelling that the impact on health may be significantly greater than policies working in isolation. However, careful targeting is required to maximise effect sizes, and where policies are aimed at wider populations it is incumbent on policy-makers to demonstrate cost-effectiveness and potential return on investment. There are plenty of tools now available to help in that respect. Finally, making the case for investing in prevention requires robust evaluation, to demonstrate that the value added from doing so is worth the opportunity cost of diverting resources away from treating mainly preventable disease. I would therefore earmark a modest but significant amount (say 1%) of the year one resource to evaluate impact throughout the four years, to demonstrate the value of investing in prevention – whilst recognising that this of course will not capture the longer-term benefits of such investment. The UK House of Lords Select Committee report described continued cuts to public health budgets as ‘not only short-sighted but counter-productive’. Robust evaluation of investments in preventative measures, and gathering case study evidence of what works – and, crucially, how it works – is essential to persuade governments that prevention is indeed better than cure.